A new method to treat brittle bone disease in children was developed by British scientists. The new treatment for Osteogenesis Imperfecta has been developed by scientists from the University of Sheffield and Sheffield Children’s Hospital. 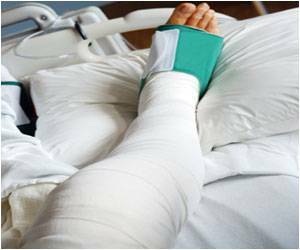 This is the first study to clearly demonstrate that the use of the medicine risedronate can not only reduce the risk of fracture in children with brittle bones but also have rapid action, as the curves under fracture risk begin to diverge after only six weeks of treatment, reported Science Daily. “We wanted to show that the use of risedronate could significantly impact children’s lives by reducing fracture rates – and it did,” said Nick Bishop, professor of paediatric bone disease at the University of Sheffield. “The fact that this medicine can be given by mouth at home (other similar medicines are given by a drip in hospital) makes it family-friendly,” he said.